When your company's products are sold, you expect to be able to make a profit on them. You want market rates, and you want to be able to control the quality and sale of all of your products in a legal way. This protects your brand, prevents unnecessary liability cases, and ensures that you get the return you need for manufacturing and development costs. A grey market situation exists when your products are being sold outside of your control. It does not necessarily mean illegal sales of your products, but profits may be being reaped that you will not get a portion of, such as would happen if they were bought low in one country and then sold in a country where a higher price tag could be demanded. Sometimes what is being sold on the grey market is product that should have been disposed of but was not. This could be expired product, bad batches, knock-off products, etc. Some products may also present hazardous waste problems that need to be disposed of properly, or it may be hazardous to humans if used by people. When your company’s products are sold in this way, not only are you losing money, but your reputation may be seriously downgraded, and possible litigation may result from it, as well. Where Are Grey Market Products Sold? Knowing how to tell if your products are on the grey market will entail a little investigative work on your part. When products are sold on the grey market, they will typically be offered through just a few outlets. Fortunately this will also make it easier to track. One of the most common places for resale is through eBay. Just about anything can be sold here and it is quick to set up, and sellers can easily disappear when necessary. 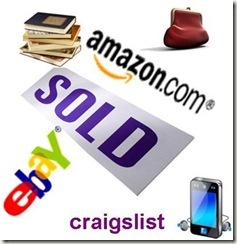 Other popular outlets include similar online retailers like Amazon and Craigslist, because they often do not require any kind of sales agreements. Auction houses and liquidators make up other outlets for questionable goods. How Do Products Reach the Grey Market? If you manufacture or distribute a product that has a high demand, you can almost expect that someone will be trying to make some money from it in the grey market. 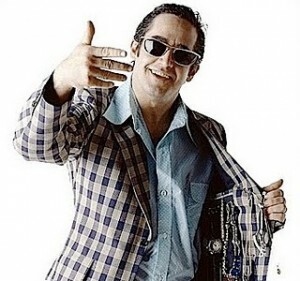 Employees may try to steal some of your product and then sell it for a quick profit. This could be taking place infrequently with small quantities, or it could be larger quantities on an ongoing basis. A large portion of products on the grey market may come from products that are marked for disposal but are never actually disposed of. Kimberly-Clark had this problem when it hired a subcontractor to manufacture tampons. They were identified as being inferior in quality and Kimberly-Clark wanted them destroyed. The subcontractor verified its destruction in writing multiple times, but Kimberly-Clark later discovered they were being sold on the grey market. At other times, you may hire a contractor for the disposal process, but an employee may be stealing damaged or poor quality products before they actually are destroyed. A vendor may also choose to sell some of it for personal profit. Using certified product disposal (CPD) can help solve that problem and prevent it from going to the grey market. In order for you to be able to properly control and investigate where your product is actually going and how it is being sold, careful records need to be kept of good product and inferior product. 1. Keep a database that lists the serial and lot ID numbers of product being disposed of. b. Companies selling your product with lower prices and better volume. c. Check eBay and Craigslist. 3. Contact sellers and get model and serial numbers of product for sale. 4. Make sample purchases and compare serial and batch numbers. In many cases, about the only way you will stop sales on the grey market is to threaten the seller with legal action. Of course, employees that are stealing product need to be fired and possible legal action taken against them, too.